Be Part of Our Collective Impact - Children's Advocacy Centers of Texas, Inc.
Children and families impacted by abuse are not alone. They are seen and heard by hundreds of local professionals dedicated to protecting children across the state of Texas. These professionals jointly investigate and prosecute child abuse cases while supporting the nearly 60,000 children and their families with services and healing through local children’s advocacy centers. CACTX is committed to addressing the complex issue of child abuse in Texas. But we can’t do it alone; it takes all of us. From knowing the signs and symptoms of abuse, to having courageous conversations about this issue with adults and children in your life, to giving to support services CACTX provides to local children’s advocacy centers in Texas, you can join our collective effort to protect children in your community. Your support makes a profound difference in the lives of abused children in our state. 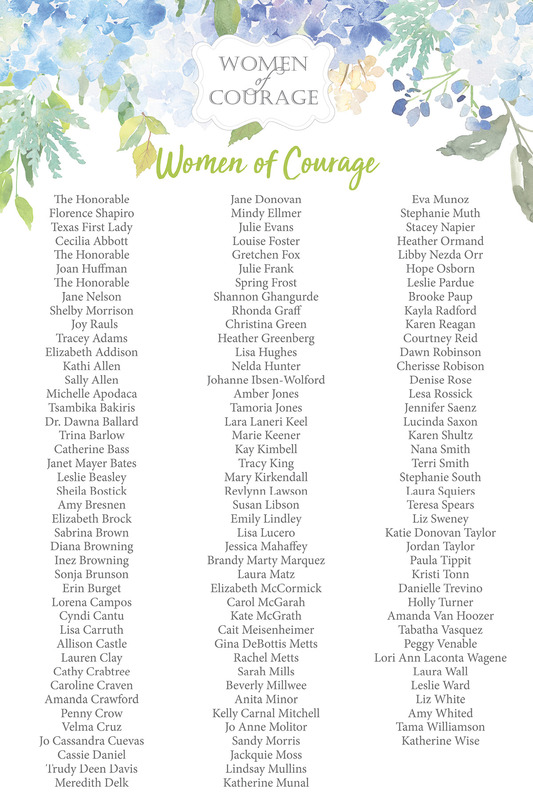 To learn how you can become a member of Women of Courage, click here. were between the ages of 6 and 12.